The appearance of this mothership was deliberately timed so as to be included in an official Telegraph documentary. Both the small UFOs - several bright lights zipping around - and the mothership are genuine. The mothership is showing off, turning in all directions. Showing it is from the side a saucer shape, and from the top or bottom a disc shape. Showing that it appeared suddenly from behind a cloud and disappeared just as rapidly, exiting with great speed into the distance. The appearance occurred because the Council of Worlds deemed the world to be ready for such a sight, and because the Telegraph was deemed likely to broadcast it openly, which it did. The message is of the Awakening - that benign alien life exists elsewhere and is currently visiting the Earth. Recently they posted a story warning us a super storm that could hit California one day in the future, bringing so much rain the central valley would become an inland sea for a few days. Telling us we should be prepared for this possibility. Does this study have any connection to the pending pole shift? Here is a link to the study by the USGS. http://pubs.usgs.gov/of/2010/1312/ It warns that up to 25% of the homes in the state will be flooded, with Hurricane force winds in some places do to this super storm that could hit in the future. [and from another] If Quakes Weren't Enough, Enter the 'Superstorm' [Jan 15] http://www.nytimes.com/2011/01/16/science/earth/16flood.html California faces the risk not just of devastating earthquakes but also of a catastrophic storm that could tear at the coasts, inundate the Central Valley and cause four to five times as much economic damage as a large quake, scientists and emergency planners warn. Combining advanced flood mapping and atmospheric projections with data on California's geologic flood history, over 100 scientists calculated the probable consequences of a "superstorm" carrying tropical moisture from the South Pacific and dropping up to 10 feet of rain across the state. Yet vast floods have also been documented, both through tree-ring data and more modern historical records. Marcia K. McNutt, the director of the geological survey, said that 150 years ago, over a few weeks in the winter of 1861-62, enough rain fell to inundate a stretch of the Central Valley 300 miles long and 20 miles wide, from north of Sacramento south to Bakersfield near the eastern desert. The storms lasted 45 days, creating lakes in parts of the Mojave Desert and, according to a survey account, "turning the Sacramento Valley into an inland sea, forcing the state capital to be moved from Sacramento to San Francisco for a time, and requiring Gov. Leland Stanford to take a rowboat to his inauguration." Why is this bizarre history of the California inland valley suddenly being given press time? Yes, the world is experiencing increased flooding, all of which is deemed "normal" and within historical bounds by the establishment puppets reporting the weather. But bringing up the history of flooding in the inland valley is more than just a way of claiming that extreme flooding is "normal". It is a subtle way of painting a picture for Californians who will soon be faced with another such flood during the time of the pole shift. We have predicted that the compression of the Pacific will force a tidal wave up and over and between the coastal mountains, flooding the inland valley to a degree that will take weeks to drain. They hope the public contemplates the possibilities, and allow their subconscious minds to arrive at solutions well ahead of time. The Zetas have repeatedly stated that those who cling to religious dogma tend to be "immature souls" (or leaning to STS). Can it really be true that wise, Service-to-Other, old souls are not found within those who adhere to organized religion? Related to this, can the Zetas specify whether it is the human mind or the soul within that grasps at religious beliefs? If it is the soul, I would imagine there could be a terrible and traumatic shock upon death and learning that such firmly held ideas are not truth. Or does the soul know better and thus have no illusions, despite what the human imagines during its life? Dogma comforts both the immature and those leaning to the Service-to-Self. Even though the soul may be aware of the afterlife, the reality of reincarnation, it goes along with the human and even drives the process. The reason is that both souls of the immature and those leaning to the Service-to-Self are comfortable when dogma is ruling the environment. Why is this so? The Service-to-Self, as we have explained, allow rules to replace an awareness of what others are feeling. On their worlds, their prison planets, if they carefully follow the rules they are less likely to get punished. Innovation is almost nil on these planets because innovation requires the right to have free thought. Mistakes are often made because a rule is followed at all costs. If this sounds like some environments on Earth, in human society, do not be surprised. For the spiritually immature, with barely sparked souls, life is confusing. They encounter situations the young soul has not encountered before, and are guessing at what direction or path to take. This creates anxiety, and dogma takes this anxiety away. If one follows the rules, one is rewarded, or at least one is promised a reward. Certainly if one follows the rules one is less likely to be punished by an overlord who is so focused on maintaining control that this become the only thing that matters. Military units and organized religions have this structure, with many rules and punishment for breaking the rules. Armies are marched to their deaths because the commanding officer feels he can do no wrong. Objection by the soldiers beneath them brings death for treason. Organized religion is just as harsh in their punishments for transgressions. Are there Service-to-Other souls within military units and organize religion? Of course, doing service! We have mentioned that highly evolved Service-to-Other spirits are attending to prison planets, attending to those souls who realize the error of their ways and want to be returned to 3rd density worlds where they can have a second chance. In like manner, those in service in military units or within organized religion are trying to make a difference, particular at those points where a choice is to be made. They hope to be in a position to give counseling when there is a choice between empathy or mindlessly following a rule. Mysteriously crooked trees in a forest in Gryfino, Poland. The reason for the curve is still unknown. (Photo: Flickr/Tapenade) Could the Zetas please give an explanation for these trees odd growth? [and from another] Gryfino, Poland's 'Crooked Forest' [Jun 1] http://noypistuff.blogspot.com/2011/06/gryfino-polands-crooked-forest-photos.html Gryfino, Poland - An unusual pine forest in Gryfino called "Crooked Forest" looks like it came right out of a Hans Christian Andersen story since around four hundred trees have been formed with a 90° horizontal bend in its trunk before rising vertically again. Mysterious curved trees in Crooked Forest in Gryfino, Poland. The 80 year-old trees were believed to have been planted by the German Service Specials carpenters who used the curved wood for furniture making. However, lumberjacks of Gryfino forest disagreed and said that the forest is a freak of nature, as the trunks of trees are not suitable for furniture production. These trees did not take this shape due to geological or climate changes, but did so under the influence of man's hand. As is known, plants grow toward the light. It is also known that if a stem or trunk is bent but not severed it will continue to grow. Furniture makers know that going with the grain gives the greatest strength, but for curved furniture the shape must be carved from a single block of wood, and thus this large, of hardwood, and thus much wood is carved away and wasted. Thus German furniture makers tried an experiment to see if they could get pine trees, known to have a strong grain, to grow in a curve. They started with seedlings in a nursery, in boxes. They bent but did not break the trunks of seedlings so they laid along the ground. As the seedlings grew in a curve to turn toward the light, the boxes were tilted so sunlight was coming from yet another direction. Turning yet again toward the light, the seedlings reversed their direction, so the trunks became a half circle. At this point they were transplanted to the forest, where they attained their full growth. As is known, such warped stems or trunks do not straighten out, because it is the top of the plant that is turning toward the Sun. Thus, the seedlings attained their full growth, and became a mystery. As per news link below, the royal families are loyal rugby fans but they have declined the invitation to attend the Rugby World Cup being held in New Zealand, September 2011. Since the royal families are in the knowing of the up coming poleshift and New Zealand is part of the Indo-australian plate which has been rising and tilting, are they simply trying to avoid going to New Zealand because they are expecting more disasters happening in that part of the world? In addition, thousands of people around the world are going to New Zealand for the Rugby World Cup. Do these people need to be very cautious because they could be up for a wild ride? Would Zetas like to comment on this? [and from another] http://nz.news.yahoo.com/a/-/mp/9719468/prince-to-miss-world-cup-to-concentrate-on-military-careers/ Prince William and his wife Catherine Middleton will definitely not be in New Zealand for the Rugby World Cup. The Royal family do not traditionally visit Commonwealth countries during general elections, and the Daily Mail reported the decision not to visit was because they did not want to be involved in a political row. As we have repeatedly stated, the royal family does not intend to be in England during the pole shift, nor do they intend to return in the Aftertime. They intend to desert their subjects there. But what about the interim? Travel has not as yet become all that dangerous, and New Zealand is a delightful country, so why the reluctance? Where the sinking of the Sunda Plate, the plate tongue holding Indonesia, has been proceeding slowly and is hardly at its conclusion, given the accuracy of our predictions the royal family is expecting chaos in the region in the near future. Australia has imposed brutal immigration policies, and word of this has spread throughout Indonesia. But New Zealand is humane, and thus likely, in the minds of the royal family, to have their beaches littered with drowning refugees. What would the prince and his new bride do when faced with such a situation, starving children littering the view right next to the royal treatment this couple expects. The contrast would be painful, and the news would highlight the royal attitude. They would be stepping over starving children, in their fancy clothes, raising their skirts so as not to become muddied. In short, their visit, during such a time, would highlight their snobbery and attitudes, and they are avoiding the possibility of such a contrast. 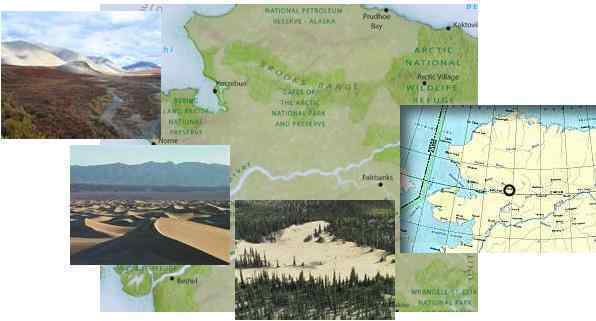 I was wondering if the Zetas can explain the sand dunes of Kobuk National Forest in Alaska. The sand dunes are large and amazing and most people are not aware of them and very few ever seen them as one can only fly into the forest. What we like to know is how it exists? There is a lake and a river that flows through it. There is a entire forest that surrounds the sand dunes and it is basically 60 miles long. Just seems out of place and one would think a fresh water river and lake would reclaim the sand to soil. When people think of such large sand dunes like the Kobuk National Forest they think of the Sahara and hot places in general not the isolated and very cold as these sand dunes are. Much appreciation for the assistance as we understand that there is so much going on in the world now and much more pressing issues, but for us it would be very helpful. Sand forms the beaches of the world because all other particles dissolve in water and wash away. In the case of the great Sahara, wind lifts away all but the sand, the soil becoming a fine lightweight dust. During prior pole shifts, Alaska was plunged in and out of a deep freeze, melting snow and ice that had packed into glaciers washed the soil thoroughly, leaving only sand. As a result of prior pole shifts, the N Pole of Earth was at one time in Wisconsin, and then again over Scandinavia. Alaska at those times was hardly the frozen land it is today. The direction of winds, how the mountains blocked water laden winds to force torrential rains to fall as warm humid air lifted over the mountains, and the amount of rainfall can only be imagined in today's climate. Such massive sand deposits support little vegetative life, but do over time return to soil as humus accumulates. For millions of people in Belgium and Netherlands, the Ardennes (Belgium, Luxembourg, bit of France) are the nearest high lands. I suppose it will be high enough to survive the Tsunami there, but is it a safe location to survive the PS there? I am not sure as I read that France will have the water reaching as far as the Alps during the PS. Last week the Zetas addressed the Ahmadinejad prediction about the sociological, political changes. For some weeks now there are riots in Greece. And George Soros said that we are on on the verge of a economic collapse: "We are on the verge of an economic collapse which starts, let's say, in Greece, but it could easily spread". My feeling is that Greece is a catalyst for what will happen in other European countries. Could the Zetas address this? [and from another] http://www.huffingtonpost.com/2011/06/26/george-soros-euro-exit-prediction_n_884709.html The Euro had no provision for correction. There was no arrangement for any country leaving the Euro, which in the current circumstances is probably inevitable. Soros reiterated his view that the Euro had a basic flaw from the start in that the currency was not backed by political union or a joint treasury. Soros is predicting that the European Union, which gave birth to the Euro, might collapse as weaker countries such as Greece bring their problems to bear on the wealthier and more stable countries. Why should Germany support and shore up Greece, for instance, especially when Germany itself will increasingly feel the pinch. Economic partners are usually bound by contract and thus by law, but as Soros is pointing out, these tough measures were never imposed on the loose confederacy of the union. A member country could opt out at any time, without penalty. There are stress lines all around the globe. While heads of state are trying to pretend that the globe is not in a second Great Depression, with even the US is on the verge of defaulting on its debts. Desperate measures are taken, repeatedly. The US raises its debt limit, prints money, and borrows from the Puppet Master. Printing money creates a banana republic, so that each dollar is worth less, and thus inflation roars on. A balancing act is sought, where unemployment and homelessness are barely kept in check by social services, which are increasingly out of funds themselves. Where possible, wealthy and well fed countries simply default on agreements. The UN finds that contributions to starving countries cease, the gifts simply not being made. Loans from one country to another are not forthcoming. Economic development plans wilt and despite promises are allowed to die. What will this mean for those countries on the edge? Bankruptcy, with all the consequences. Their currency considered virtually worthless. Those with savings in that currency finding themselves without funds well before the time of the pole shift when this will be the rule, everywhere. We stated that the barter system would be in place well ahead of the pole shift, and this is the reason. Banking systems require economic activity beneath them in order to operate. In a stagnant economy, a banking system is a parasite sucking the blood of a creature long dead, and thus the parasite itself dies. Countries where tax payments do not support the government must either print money until it becomes a worthless currency or admit to bankruptcy. In either case, the government is dead, operating without funds or with worthless funds. Government workers rebel as they are not being paid in anything of worth. Those citizens on the dole, on welfare or supported by social services, become desperate and riot along side the unemployed and the wealthy who find their savings now worthless. We repeat our long-standing advice that those intent on surviving the pole shift get into gardening and keeping herds and flocks early, forsaking the comfort and excitement of city living and the pleasant climate and recreational charms of coastal living. Move inland, to high ground, into rural areas, and get callused hands. There are various reports out of Cuba and Venezuela regarding the health of Hugo Chavez. Given his STO status as per the Zetas, has his absence been orchestrated? It would appear his life is in great jeopardy. [and from another] Absence of ill Hugo Chavez sparks speculation [Jun 26] http://www.bbc.co.uk/news/world-latin-america-13918380 He underwent an operation in Cuba for what the authorities said was a pelvic abscess. The normally loquacious Mr Chavez, 56, had been uncharacteristically quiet since apparently undergoing surgery on 10 June in Cuba. He had fallen silent after making a telephone call to state media on 12 June to tell them he was recovering quickly, and that medical tests showed no sign of a "malignant" illness. He has not been seen - aside from in photos provided to the media showing Mr Chavez being visited by Cuban leaders Fidel and Raul Castro in hospital. And there is little clear indication of when he will return to Venezuela. Chavaz will recover and return to his former busy schedule but his illness is more serious than what is being reported. Men of his age have prostate problems, which often require that the prostate be removed for pre-cancerous conditions. This is deflating to the male ego as it disrupts sexual function, in essence ending a man's love life. This also requires a long healing period as elimination of urine and even bowel movements are disrupted by the surgery. One is not released from the hospital until all is running smoothly. A political dynamo, Chavez does not want to make public appearances or comments until he can regain his positive outlook, which at present us dealing with a devastating blow. He will regain his perspective shortly, being resilient, and return to his former hectic life. Yesterday (29-06) during the severe weather a radar circle appeared on Meteox. This occurred at about the time that the S Pole was lost on the magnetosphere site. A while ago those circles where visible above Australia, but now appear at above more countries. Could the Zetas explain what is going on? As noted on the Magnetic Simulator images, at the time radar circles were forming over the Netherlands the Earth had literally lost both its S Pole and N Pole. What happens when a magnet, such as a magnetic planet, is forced by the tumult and press of magnetons to virtually lose its field? The Earth has been trying to comply with the greater force of the magnetic field from Planet X, while simultaneously complying with the dominant force of the Sun's magnetic field. It does so primarily by leaning its N Pole away, so the northern hemisphere has cooler weather in general. It also does so by effecting a wobble, so that its N Pole is pushed away daily by Planet X. The Earth also on occasion goes into opposition, pointing its N Pole more to the Sun, temporarily. But another posture is to lose its magnetic field altogether, so the magnetons are returning to Earth quickly and in many places around the globe. When this happens, the particle clumping that is captured on radar is creating radar circles in places around the globe. We predicted in January 2010, when these radar circles first made an appearance, that they would be unlikly to occur in places other than Australia, but one such rare appearance has occurred in the Netherlands and on occasion they have been seen elsewhere too. Will the poisoned air with red dust? The charged red dust in the tail of Planet X is iron oxide. When accumulating in ponds and rivers, it kills the fish, and make the water bitter to drink. Beyond this aspect, it is not poisonous, as man and land animals will not drink sufficient quantities of the water to affect their health. The Las Conchas Fire ignited in New Mexico Sunday and quickly grew to more than forty thousand acres in less than twenty-four hours. This fire now threatens the City of Los Alamos and the city has been evacuated. Since Los Alamos National Laboratory, home of a huge stockpile of nuclear assets, is located there, I have heard rumors that the fire is a false flag operation to leave the area empty so that government operations, possibly black ops, may take place there. This seems possible, especially when one compares the behavior of the Las Conchas Fire with the Pacheco Fire. The Pacheco Fire, burning on a neighboring mountain range in similar terrain had burned for nine days and is less than ten thousand acres, substantially smaller then the Las Conchas Fire. Will the Zetas please comment on whether the Los Alamos Fire is a false flag operation and, if so, what is the purpose of the fire? [and from another] http://www.huffingtonpost.com/2011/06/27/nuclear-flood-nebraska-fire-us_n_885534.html Fire And Flood Stoke Fears At U.S. Nuclear Facilities, But Officials Say Radioactive Materials Are Safe [Jun 27] A wildland fire near the Los Alamos National Laboratory in New Mexico - a massive research facility that is home to several metric tons of plutonium and numerous other hazardous and volatile materials - had inched to within just over a mile of the southern edge of that facility's boundary. Of greatest concern at Los Alamos is a part of that facility called Technical Area 55 (TA-55), which includes Plutonium Facility 4 (PF-4). The Cerro Grande fire of 2000 - a massive New Mexico wildfire that ultimately breached the facility's boundary, burning some 7,000 acres of laboratory property and damaging several buildings. Even in that instance, critical buildings containing nuclear material remained safe. The Las Conchas fire near the Los Alamos laboratory is larger and more fierce than prior wild fires, and thus the precautions. This is not a false flag operation, as such a fire would not be needed to effect such plans. Nuclear material is moved all the time, within the US, and the public is none the wiser. On occasion the public discovers that nuclear material has been moved along a highway, through heavily populated areas, and are offended that they would be put at risk in this manner. The Las Conchas fire is yet another example of how poorly the establishment has prepared for what is coming during the serious Earth changes that will soon grip the globe. Waiting until disaster strikes before taking action is not a good plan! We have a blog, posted yesterday, referring to something that´s been called "A massive underwater landslide 200 miles off the coast of Cornwall caused a series of mini-tsunami waves and tides" (http://poleshift.ning.com/profiles/blogs/small-tsunami-hits) and a following search has rendered 4 newspaper articles with the same kind of headlines, that is, all are referring to the cause of the event as probably being a landslide (http://thenewsportal.net/?p=1033011). Some of our brighter members have pointed out that a landslide couldn´t possibly have caused the tsunami but that an uplift of the ocean bottom would. This, of course, sounds more plausible. So I´ve been hunting for events on buoys etc but been unable to find anything to substantiate either explanation. Would the Zetas care to comment on what´s missing in the big picture here ? Tsunami are caused when a plate either rises or drops, creating displacement in the water. They are most notably found in subduction zones, where one plate is being pushed under another. Here two things happen: there is a void where a plate drops under the water but also a crush of water from the sides because the area provided for the ocean, overall, has become less. This causes the tell-tale warning sign where the ocean first leaves the beaches, pulling back, as it falls into the void. Then the crush from the sides pushes in from all directions, creating a heap where the void was, and this must go somewhere. Thus, a tsunami wave is born, rushing in all directions or primarily in the direction of least resistance. But tsunami can occur in the stretch zone, as our warnings about the European tsunami during the 7 of 10 scenarios. When plates pulls apart they do not have the reduced space overall for the ocean water, but they do have the void. Thus there is a rush from all sides to fill the void, then the heap, and a tsunami moving in the direction of least resistance. In the case of the European tsunami, this direction is toward the European coastline due to the momentum in place from the Gulf Stream. We have described the bulk of the 7 of 10 tsunami as striking the UK, where it will be an estimated 200 feet high. Cornwall of course is at that location. What occurred here is a mini European tsunami, a tiny precursor of what is to come, due to a slight tearing in the central Atlantic Rift. An apparent burst of light energy of some kind was captured by cameras at an astronomical observatory in Hawaii. It appears most unusual and there is much speculation about the cause. I wonder could the Zetas possibly comment? [and from another] http://www.dailymail.co.uk/sciencetech/arti UFO, 'Star Gate' or just a ballistic missile? Mysterious bubble-like light burst seen over Hawaii [Jun 30] http://www.dailymail.co.uk/sciencetech/article-2009761/Alien-battleship-Star-Gate Footage of this incredible bubble-like burst of light in the night sky was captured by cameras at an astronomical observatory in Hawaii. Sky watchers have been flooding internet forums with speculation about the burst, filmed by a webcam mounted on the Canada-France-Hawaii Telescope on Mauna Kea. Captured in time-lapse footage, the glowing sphere takes several minutes to expand until it virtually fills the frame - then it vanishes as mysteriously as it appeared. Man uses light to see, pulling in what he perceives to be the dimensions and distance of objects by light rays entering the eye. When light bends, as it does readily, the mind of man presumes the light rays are still moving in a straight line, and is confused. That light rays bend readily can be seen by children standing in water, seeing their feet and lower legs to the side, as though broken off. The sunrise and sunset often have the Sun huge, as light rays bent by gravity around the curve of the Earth are dominating the scene. Then the Sun rises, has a more direct route to the eye, and suddenly the Sun shrinks and is no longer orange/red. The Mauna Kea bubble was not that large out in space. It was a type of light ray sensitive to what it encountered as it approached Earth and the drama that is ensuing in Earth's vicinity, with Planet X approaching and the Dark Twin and Venus crowded in the cup. The light rays bent outward, to avoid the crowding, and thus were perceived to be from a spreading bubble. This is akin to traffic on a highway leading to a traffic jam in a city. As the cars on the highway sense the traffic jam, they peel off to take side roads, seeming to spread out and then disappear into the city.